ItemRoads 119 - Road from Dandalup Bridge to Fremantle by T. Watson [scale: 1 mile to an inch]. ItemRoads 120 - Roads between the Wellington and Williams Districts by F.T. Gregory [scale: 1 1/2 miles to an inch, Tally No. 005477]. ItemRoads 124 - Road between Wellington and William Districts (between Ommanney Road & Williamsburgh) by F.T. Gregory [scale: 1 1/2 miles to an inch]. ItemRoads 125 - Post Road from Bunbury to Kojonup by A.C. Gregory [scale: 1 1/2 miles to an inch]. ItemRoads 126 - Sussex Roads, road Busselton to Margaret River to Dunsborough, by Carey [scale: 100 chains to an inch]. ItemRoads 127 - Plan of Road Bunbury to Blackwood with branch road from Balingup to Jayes by C. Carey [scale: 2 miles to an inch]. ItemRoads 129 - Road from Bunbury to Peel and Pinjarrup (now Pinjarra) by F.T. Gregory, Fieldbook 3, Sheet 1 [scale: 10 chains to an inch]. ItemRoads 130 - Road from Bunbury to Peel and Pinjarrup (now Pinjarra), Sheet 2. (Leschenault Inlet) by F.T. Gregory [scale: 10 chains to an inch]. ItemRoads 132 - Road from Bunbury to Peel and Pinjarrup (now Pinjarra), Sheet 4 (through Location 48, W.A. Company) by F.T. Gregory [scale: 10 chains to an inch]. Item Roads 126 - Sussex Roads, road Busselton to Margaret River to Dunsborough, by Carey [scale: 100 chains to an inch]. Sussex Roads, road Busselton to Margaret River to Dunsborough, by Carey [scale: 100 chains to an inch]. 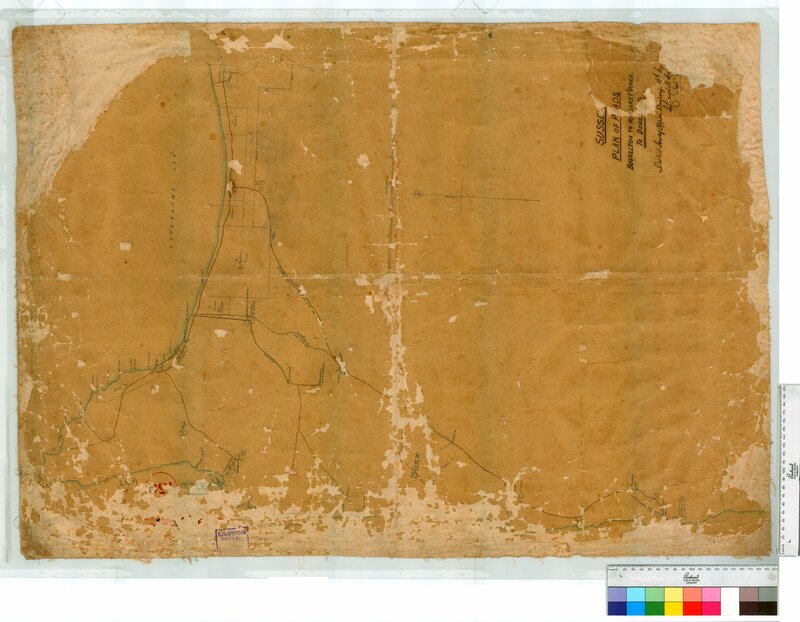 Confirm Item Request: Sussex Roads, road Busselton to Margaret River to Dunsborough, by Carey [scale: 100 chains to an inch].